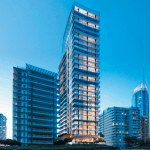 Ocean is well-known developer, Harry Triguboff’s, fourth beachfront tower in his 54-year property development career. 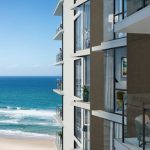 Rising 76 storeys above Surfers Paradise, the 258 beachfront apartments for sale at Ocean will all have incredible views, in part due to the location of the project, and in part due to the fact that the residents’ apartments start at level 45, with the levels below belonging to Meriton Suites, a five-star resort, among other things. 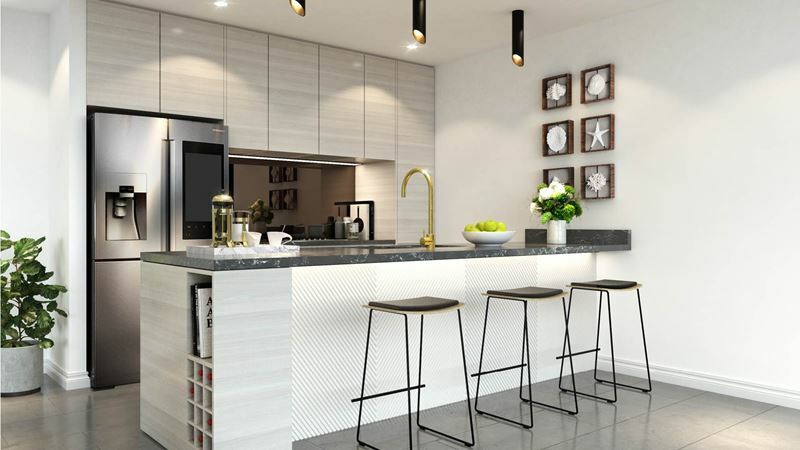 There are two and three-bedroom apartments for sale at Ocean, as well as three-bedroom (+ study) sub penthouses, and two dual-level penthouses. 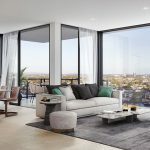 Prices start at $765,000 (as of 1 February 2019). 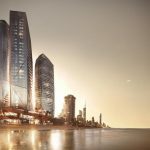 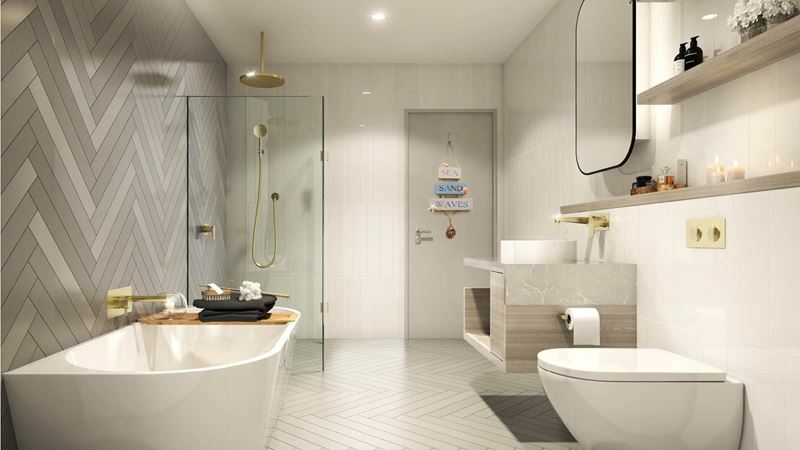 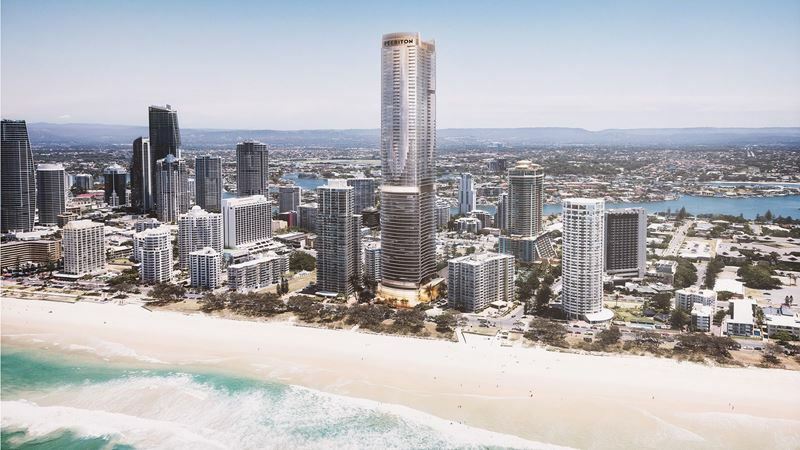 Residents at the luxury Ocean apartments on the Gold Coast will have access to a resident-only sky pool and gym on level 33, and a beach club podium on level 5. 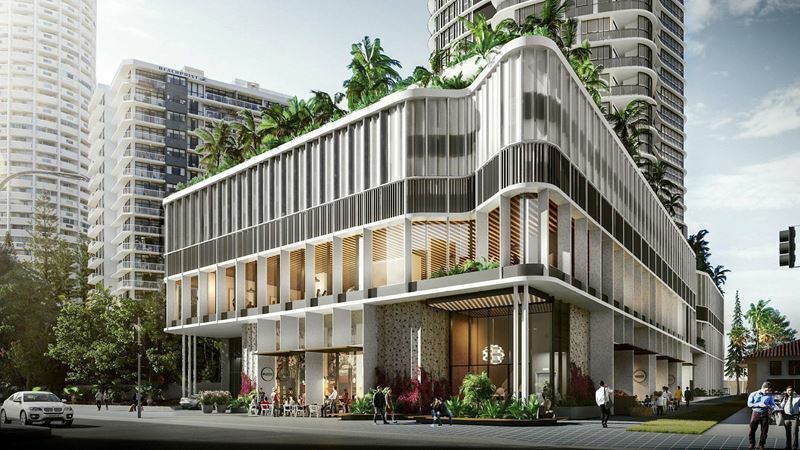 A full-line supermarket, childcare centre, cafes, restaurants and retail precinct will occupy the lower levels, meaning the only reason you’d ever leave is to walk across the road to the beach.